Litchfield National Park is a stunning wilderness experience boasting pristine rainforest, lush cycad groves, a network of cascading waterfalls and creeks and the expansive Tabletop Range. 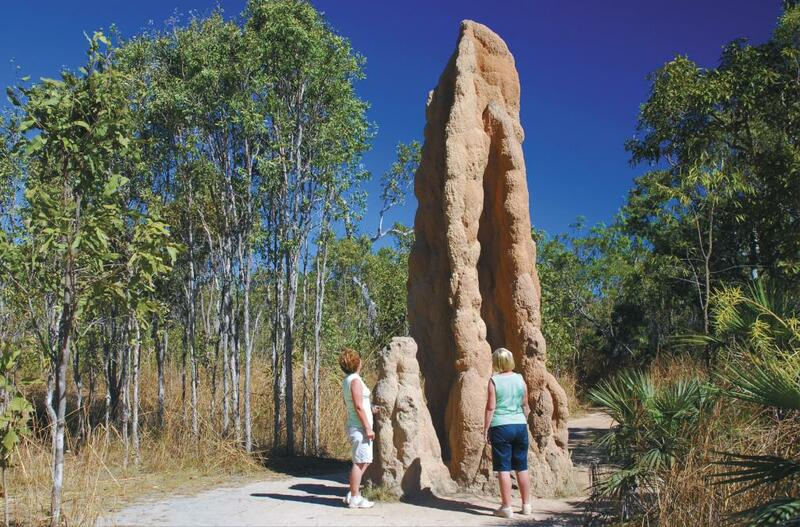 Just a two hour drive from Darwin to the western edge of the park, access is also available on sealed roads along the Stuart Highway to the eastern corner of the park. Some waterfalls are accessible by road however many will require some walking before you are able to cool off with a dip. See our selection of Litchfield Tours for camping, accommodated and day tours in the area. Wangi Falls is most easily accessible and welcomes visitors with a natural pool, interpretive walk and even BBQ facilities. Also fairly easy to get to are the Buley Rockholes, a series of rockholes and smaller waterfalls, which offers respite from the Northern Territory's unrelenting heat. If you're feeling fit, Florence Falls offers a beautiful hike to the foot of the falls otherwise the viewing platform at the top is also stunning. The Lost City is a strange natural sandstone formation which resembles people, buildings, animals and statues however access requires a 4WD. Located in Sandy Creek, Tjaynera Falls are a pretty sight to see but are especially impressive during the wet season. However, Tolmer Falls are possibly the most stunning and are ideal for a day trip, picnic and plenty of photo opportunities. 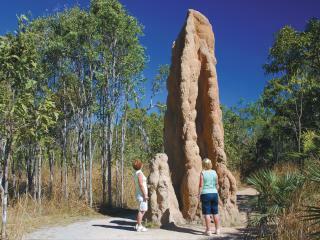 Litchfield National Park is also known for its Magnetic Termite Mounds near the Batchelor entrance to the park. Created by termite, the mounds resembles rows of gravestones.